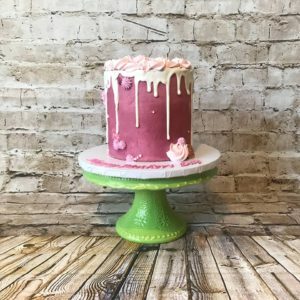 Hidden Gem Cakes is currently fully booked for all dates, including week days, through June 10th, 2018. We have only one opening for the weekend of June 15-17th at this time. Please call or text today if you are looking for a custom cake in the coming months as we have been booking up about 3 weeks in advance on most weekends. Like and follow us on Facebook for schedule updates. If a spot becomes available before June 10th, it will be posted to the Facebook page.